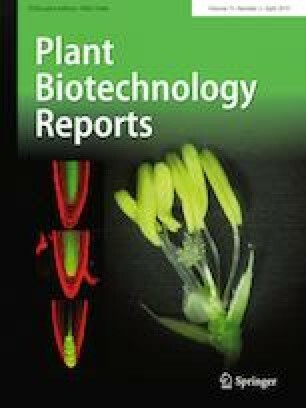 Trehalose-6-phosphate synthase (TPS) plays an important regulatory role in the response of plants to multiple abiotic stresses. However, our knowledge of the stress tolerance functions of TPS genes in sweet potato (Ipomoea batatas [L.] Lam) remains limited. In the present study, we isolated and functionally characterized the sweet potato gene encoding TPS1, IbTPS1. Sequence analysis showed that IbTPS1 belongs to class I TPS proteins and harbors highly conserved acceptor (glucose-6-phosphate [Glc6P]) and donor (uridine diphosphoglucose [UDP-Glc]) binding sites. The IbTPS1 gene showed the highest level of constitutive expression in leaves and storage roots of sweet potato plants and was induced by several environmental stresses including drought, salt, and heat shock. The IbTPS1 protein might be localized to the cytosol. Complementation assay of yeast tps1Δ and tps1Δtps2Δ growth-defective mutants confirmed the TPS activity of IbTPS1, and truncation of the N-terminal extension of IbTPS1 (ΔNIbTPS1) increased the catalytic activity of the protein. Additionally, expression of IbTPS1 in yeast conferred abiotic stress tolerance to dehydration, salinity, and oxidation, and expression of ΔNIbTPS1 further enhanced the tolerance to abiotic stresses. The results of this study advance our understanding of the functions of IbTPS1 under abiotic stress conditions. Our results suggest that the IbTPS1 gene is an excellent candidate for improving the stress tolerance of different crop plants. The online version of this article ( https://doi.org/10.1007/s11816-019-00532-5) contains supplementary material, which is available to authorized users. We thank Prof. Filip Rolland at the Institute of Botany and Microbiology in Belgium for providing W303-1A, YSH290, and YSH567 yeast strains and pYX212 as a gift. This work was supported by the Basic Research Program of Shanxi Province (201801D121204), Cultivate Project of National Science Foundation of Shanxi Agricultural University (2017GPY06), Science Innovation Foundation of Shanxi Agricultural University (2018yz003), Doctoral Research Grant of Shanxi Agricultural University (XB2009002), China Scholarship Foundation (201508140087), and KRIBB initiative program.